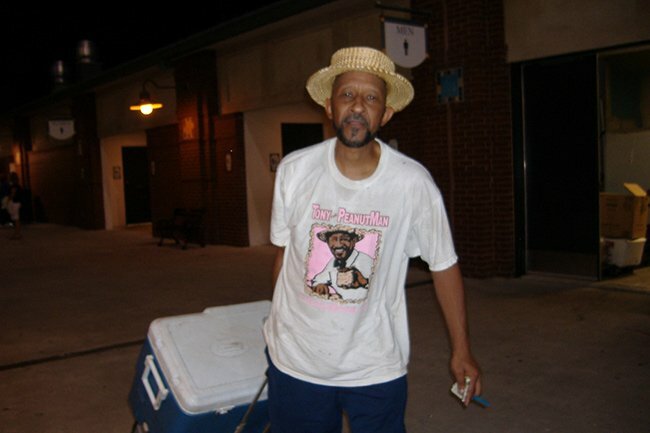 For over 20 years, Tony Wright – aka Tony the Peanut Man – was Charleston‘s most prolific purveyor of peanuts. Tony started out selling his gourmet goobers in Charleston’s City Market in the early 90s. His cheerful personality, coupled with his signature outfit and catchy jingle, quickly gained him a loyal following. Got some boiled, got some toasted, got some stewed, got some roasted! 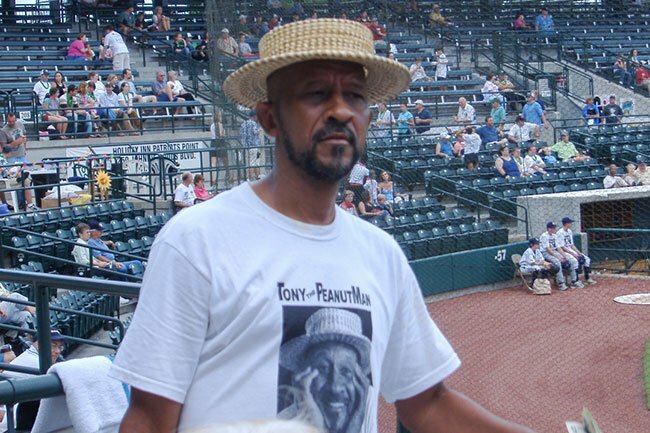 By 1998 Tony had become a fixture at local sporting events such as RiverDogs baseball games and even had his own line of canned boiled peanuts. The most recent addition to Tony’s act, dubbed The Peanut Man Experience, came directly from his Peanut Man comic book and details his transformation into a crime-fighting superhero. The publication of the comic book has helped to solidify Tony’s status as a local legend. Sadly, Wright died on Tuesday, November 22, 2016 at the age of 63. He will be deeply missed but fondly remembered in his Charleston community. 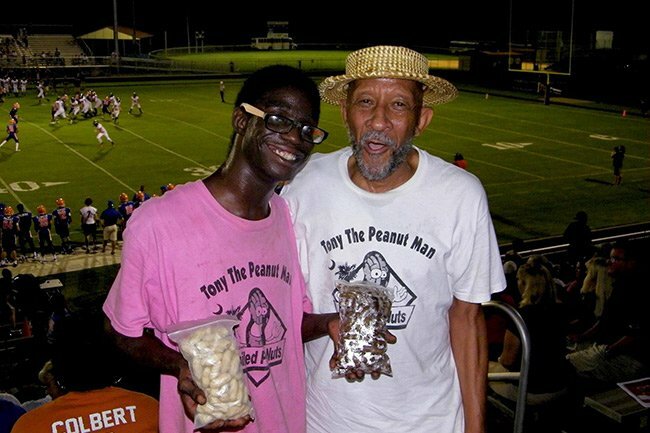 Go here to check out a video of Tony the Peanut Man in action. so sad, i’m doing a project about Toney Wright and I need some intresing facts not alot of pepole know about Toney. I am sorry to hear about your loss. I had not heard the news. You make the RiverDog game so much fun. It is great to see you sing your song and those great tasting peanuts are my favorite. 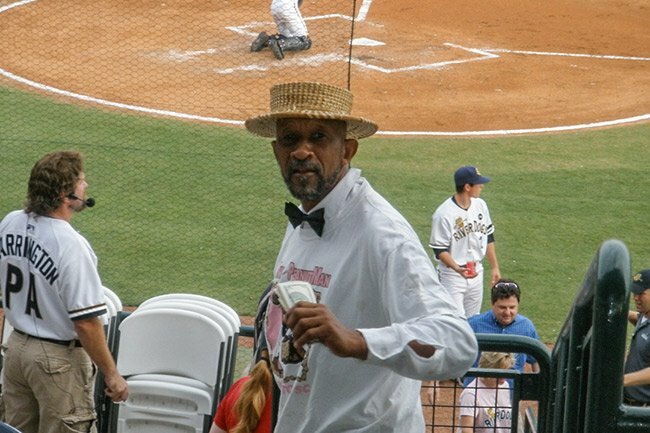 I ask my auntie to buy a bag of peanuts every time we come to the game and when we see you at MOJA, Motown Madness, Spoleto, The Christmas Tree Lighting program, the parades, Homecoming, and at the park. Please cheer up and know that you are a hero. From 1990-2012 I owned a store on King Street called STUDIO. I was one of the first to buy and sell Tony’s boiled peanuts in cans. He became a friend. I was so sorry to hear about the fire. As I have no way to contact him, please tell him that I read about the fire and am thinking about him.